Thanks for visiting Pike Pole Fishing! We specialize in multi-species angling and offer quality fishing adventures on a variety of Wisconsin waters for guests looking to target pike, walleye, panfish or bass. Pike Pole Fishing Guide Service is commercially insured and properly licensed, meeting both state and federal requirements. Guests can fish comfortably from one of our professionally rigged boats during the open water season or from our heated Eskimo shelters during the ice fishing season. Open water trips are available March through October. Ice fishing trips are available December through March, or as safe ice conditions allow. Primary waters we cover include the Lake Koshkonong/Rock River system, Madison Chain of Lakes, and a few other small inland lakes located in Southern Wisconsin. Seasonal waters we cover include the Lake Winnebago system and Green Bay system. 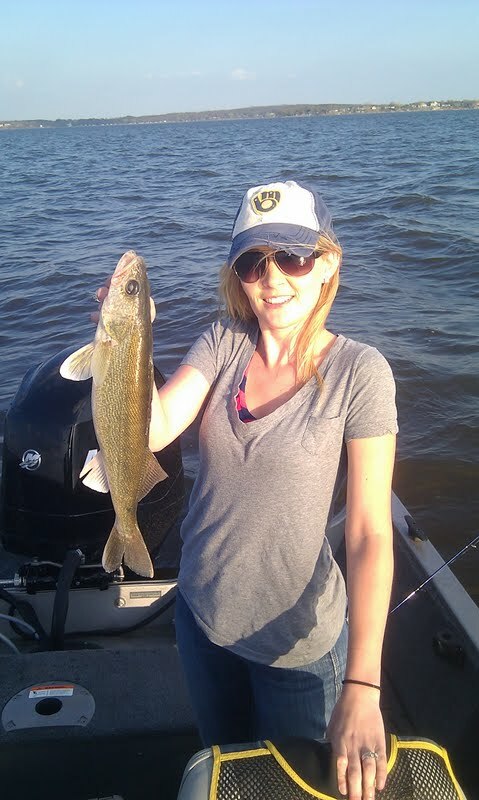 We offer walleye specific trips to these locations during the open water months. Along with guided fishing trips, we also offer Humminbird sonar training, ice fishing classes, and group seminars. Pricing and detailed information about all of our services can be found under the "Trips & Rates" tab in our menu. 10% discount is offered to all active or retired Military, Firefighter, EMT, and Law Enforcement personnel. Kids 12 and under fish free when accompanied by adult/s. Follow us on Facebook @ Pike Pole Fishing Guide Service. Here you can follow up to date information about the bite and other various things happening. Those who “Like” our page have chances at winning free fishing trips and products through random drawings held throughout the year. Along with guided fishing trips and Humminbird sonar training, Pike Pole Fishing offers a variety of other services. More information about the services below can be found in our menu tab "Additional Services". Interested in getting updates and special offers from us? We release a newsletter at the beginning of each season (Winter, Spring, Summer, and Fall), which you can subscribe to free of charge. You'll be the first to see our upcoming events, special trips dates, newly released products from our sponsors, occasional give-aways, and more. "Click Here" to check out our past issue. If you'd like to be added to our list, the click the "Subscribe" button located in the top left corner of the newsletter. Thanks for visiting!